This Friday, December 21, and through the weekend – five specific ATMs will have random $20 dollar bills replaced with $50 dollar bills. 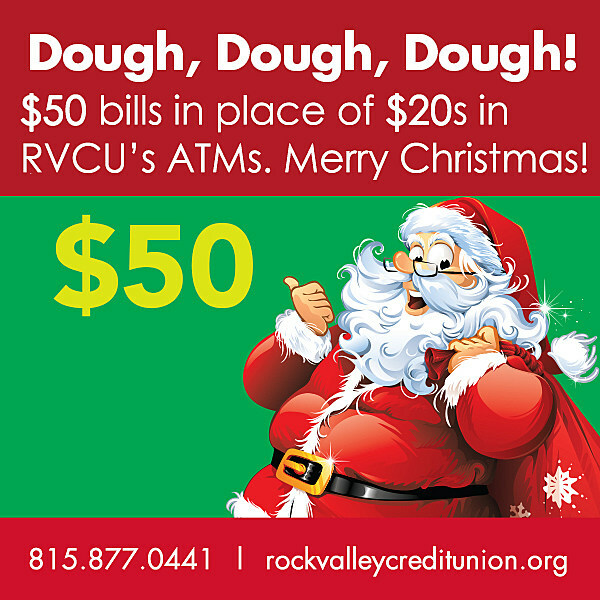 Rock Valley Credit Union is doing it again by "Ho! Ho! Ho!" "Dough! Dough! Dough!" and the magic is happening at all five of their ATMs.